Do you love doughnuts? This recipe is an easy breakfast recipe that can be started the night before. Not only is it easy, but dairy free and delicious too. Yum! These Maple Bars are best fresh, right out of the oven. They are also very good fresh from the freezer. I froze them the same day I made them. 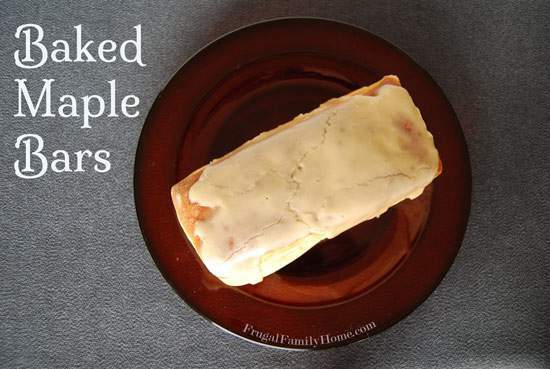 After the maple bars were cooled and the frosting was set, I wrapped each one in wax paper. I then carefully slid them into a zipper freezer bag. They held up beautifully and tasted so good too. When making the maple bars, I cut the dough into 18 pieces. I think you could actually cut them into 24 pieces and have a more reasonably sized maple bar. The ones I made turned out huge. Here are the bars after rising a bit and then after baking. Don’t’ they just look so delicious!? The house smelled wonderful too. Baking these are sure to wake up anyone who is sleeping in late. After baking be sure to move them to a rack, to cool just a few minutes, while making the frosting. 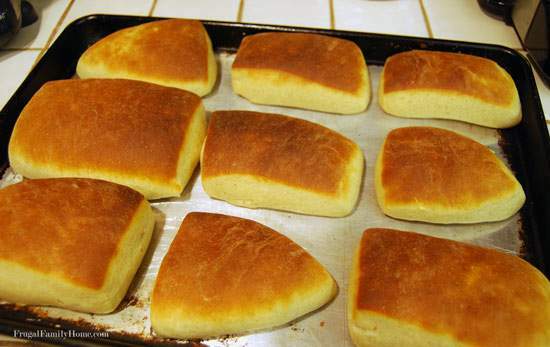 If you leave them on the baking sheet the bottoms will get damp. 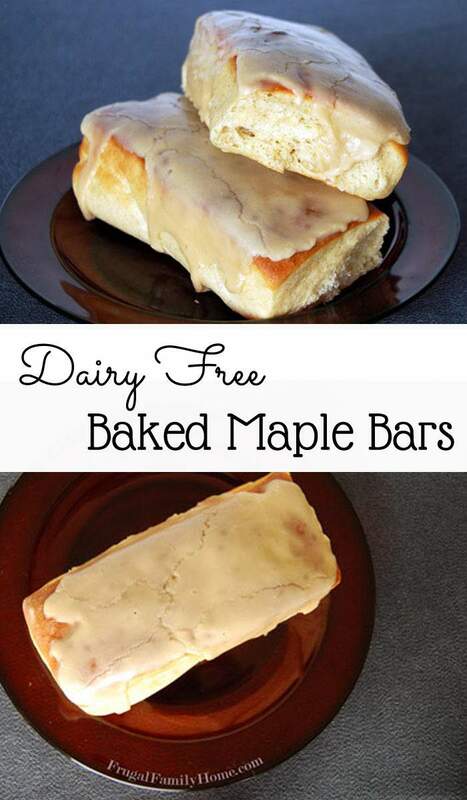 You will want the maple bars cooled, but still warm, so the frosting will melt just a little and coat the maple bar. These maple bars are very delicious. The texture inside is light and fluffy. Just like a fried maple bar. The outside is a little crisp. I don’t miss the extra fat from frying them at all. 2 tablespoons dairy free "Butter"
Place the soy milk in a saucepan and scald. Remove from heat and add in the shortening, sugar, and salt. Let sit until lukewarm. In a large bowl add the warm water and the yeast. Stir to dissolve yeast. To the yeast mixture, add the lukewarm milk mixture with the two eggs and mix well. In another bowl mix together the cinnamon and flour. Add the flour mixture to the milk mixture one cup at a time mixing with a spoon or mixer. You may need more flour or less flour, to make a slightly sticky but soft dough. Once the dough has risen punch it down and divide into two pieces. Press the dough out to about 1" thickness. Then cut into 9-12 rectangles. Repeat for the other half of the dough. 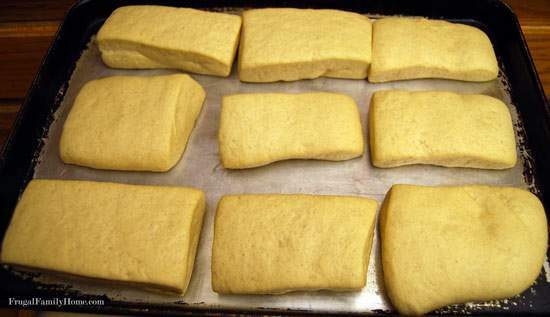 Place the dough pieces on a lined cookie sheet and let rise about 30 minutes. Bake in a preheated 425-degree oven for 7-9 minutes or until golden brown. Cool slightly on a wire rack while you make the frosting. Melt the dairy free "butter" in a medium sized bowl, in the microwave. Add the maple flavoring to the butter and stir in the powdered sugar. 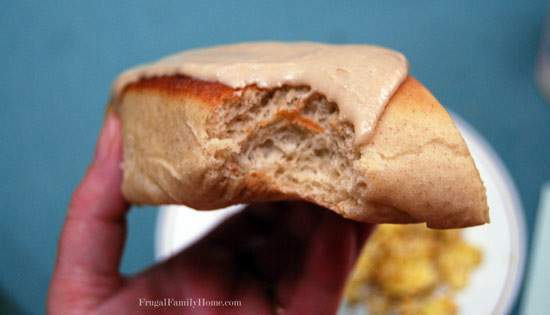 Add enough of the soy milk to make the frosting a spreadable consistency. Frost the tops of the maple bars. 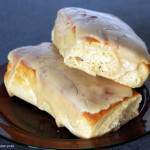 I served these yummy maple bars with some scrambled eggs and sausage. 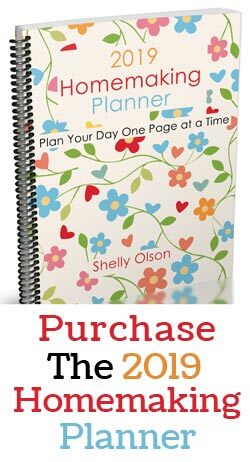 I think you will really love this recipe if you try it. What’s your favorite kind of doughnut? Have you ever tried making them at home? I’ve been wanting to try baked doughnuts for a while…even had them on my menu plan…but didn’t get around to making them. These look delicious! These are really good Erin. 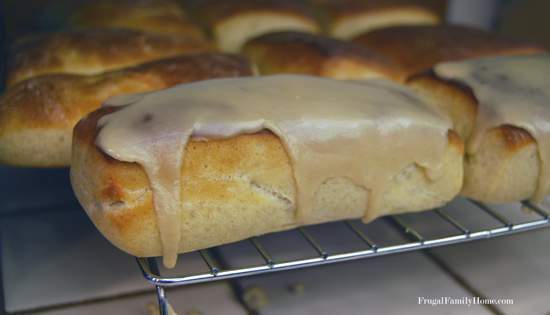 I like that I can start them the night before and then in about 30-45 minutes we can have yummy fresh maple bars. these look awesome – I am vegan, have you ever tried them with an egg substitute instead? I haven’t tried any eggs substitutes, yet. 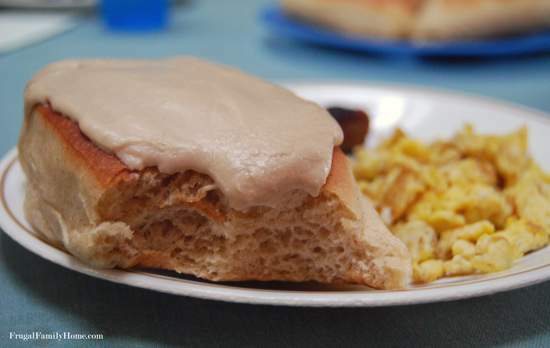 But the next time I make the maple bars I will give an egg substitute a try. I’ll let you know how they turn out. I need to try these. I’ve never made a maple bar. Pinning this to creative k kids tasty tuesday board. Thanks for linking up! 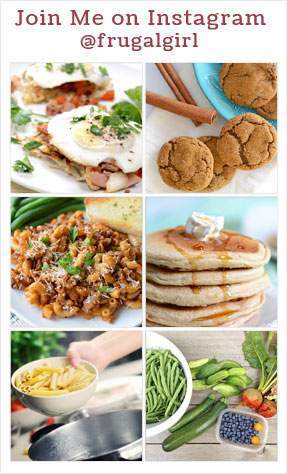 Thanks for pinning my recipe! These look absolutely delicious, Shelly! They remind me of my dad because he would bring home goodies like this! What a great dad, Tshanina!